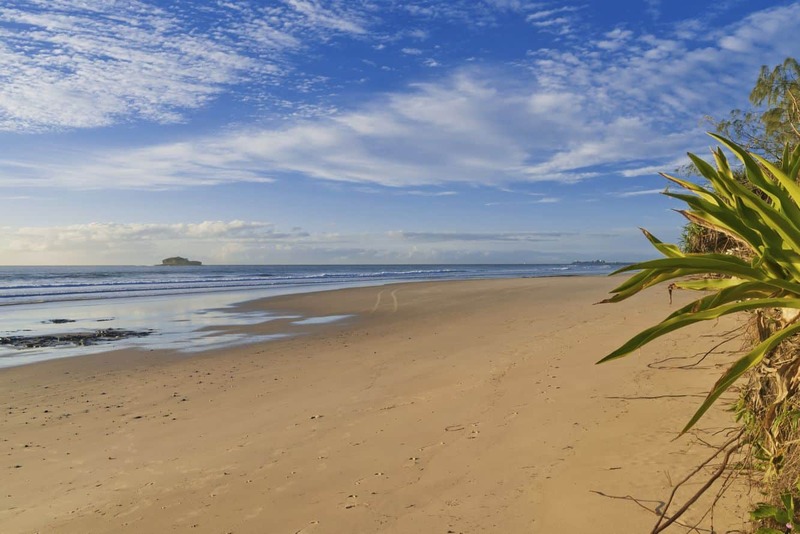 Mudjimba Island, (also known as Old Woman Island), is located approximately 1km off the coast of Mooloolaba and is considered to be one of the best surfing spots in the Sunshine Coast. Mudjimba Island can be seen for kilometres when you travel up and down the coastline and is a popular surfing spot for experienced surfers due to the large waves created by the reef. The north coasts is an exposed point break that has constant and reliable surf. Winter is the best time to come surfing here as offshore winds blow from the south-west. Most of the surf comes from groundswells and the best swell direction is from the east. Surfing at Mudjimba Island is not for beginners and surfers should be wary of sharks and rocks. Other popular activities on the island are scuba diving, snorkelling and swimming as the coral gardens start at just 2 metres in depth, which makes for an excellent snorkelling experience. Whilst snorkelling or scuba diving, you will see plenty of hard and soft corals, as well as a huge range of marine life including butterflyfish, lionfish, moray eels, wrasse, angelfish, morwong, damsels, pufferfish and gobies. Travel around to the eastern side which drops down to 17 metres where you will also see crayfish, parrot fish and trevally. You are best to hire a boat to take you out to the island, as even the fittest of swimmers will have trouble due to the large swells near the island. If you are looking for accommodation in the township of Mudjimba or nearby, then click the link below for the best accommodation deals.